WholeDude – Whole Victory – Kashmir: Indian Armed Forces perform duties with commendable devotion and dedication to defend Indian Union from attacks by its enemies. 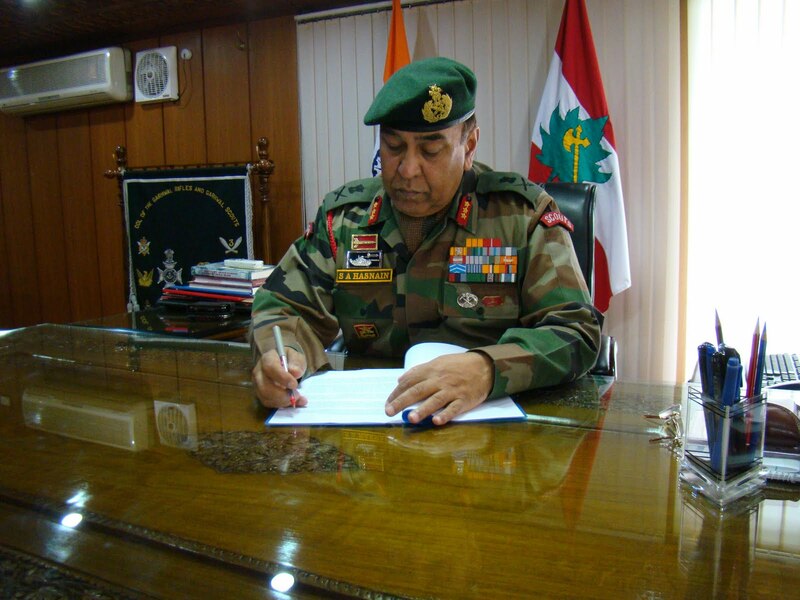 WholeDude – WholeVictory – Kashmir: Lieutenant General Syed Hasnain shares his vision about the role of Indian Armed Forces in Kashmir and predicts a Victory in all its aspects. Define what it means before you decide what the army should do. For the first time in years, a newspaper’s leadership has thrown up a serious strategic issue for debate. Kashmir is far too complex for inexperienced minds to fully comprehend and there are so many stakeholders it confounds even those who have a semblance of an idea. In a recent article in this paper (‘Disarming Kashmir’, IE, December 7, goo.gl/SWPD7G), Editor-in-Chief Shekhar Gupta talks about victory in the 24-year standoff and the necessity of an early withdrawal of the army from Kashmir’s hinterland. We must first highlight what Gupta is seeking through this thought-provoking article. He says the army has become weary and therefore less professional, having lost soldiers in tactical operations this year. He wants the army to strengthen the LoC and de-escalate in the Valley, because Kashmiris, he says, must get a part of the “peace” dividend. He takes a dig, saying that some respected general with five tenures in the Valley had told him that, having defeated the Lashkar, the army has only been building golf courses and guest houses for the last five years. He adds that if any of these bad boys show their faces in Kashmir again, the army can come back to sort them out. He claims that the military objective in Kashmir (if any was spelt out) has been achieved and, that the UPA government has veritably introduced a concept of governance — veto power (on strategic decisions) for the army. One of the most important points Gupta makes is, “you cannot find a Kashmir settlement with Pakistan before embracing your own Kashmiris and restoring trust with them first”. On the face of it, this article evokes negatives all the way but re-reads throw up issues which need serious pondering. Unfortunately, not many are aware of the degree of intellectual analysis that the army itself has done of its role in Kashmir. It recently organised a full deliberation on the concept of victory at the Army War College, Mhow. The first question is: have we ever enunciated an aim in Kashmir? In all these years, there never has been a clearly stated political aim given to the security forces. The informally stated military aim was stabilisation by controlling infiltration and eliminating terrorists. No one realises that in such situations, political and military aims cannot be separated. In 2011, we enunciated our own joint politico-military aim for our commanders — “integrate Jammu and Kashmir with mainstream India, politically, economically, socially and psychologically”. We were clear that eliminating terrorists was the easiest part of this war, that eliminating “terrorism” was the real challenge. I wish Gupta had faulted the army for not demanding the articulation of a politico-military aim as fighting without an aim is actually unfair. The lack of such an aim results in exactly what Gupta has done — declaring victory prematurely. Victory has to be measured against an aim, or else all kinds of versions are thrown around. We also have to measure victory against a realistic assessment of the future. Afghanistan 2014 with all its imponderables looms before us; any idea of victorious peace and subsequent actions has to be connected to it. Incidentally, I am speaking of victory as not against the people of Kashmir but for them, and against the intent of Pakistan, the separatists and terror groups. It is essential to explain a few things to those with limited military orientation. First, Kashmir is a case of rim-land insurgency. It is not the LoC alone that needs to be strong. In the event of conventional war with Pakistan, the hinterland of Kashmir is as important as the LoC. It is here that the strategic assets exist, along with strategic arteries, which can be choked in war. Remember, in each Indo-Pak war, Pakistan has depended on the Kashmiri people to rise against us. Second, the larger number of incidents, and the loss of brave soldiers, this year should make us re-evaluate the actual military situation in the Valley. Ironically, this is least important in assessing victory. In counter-insurgency/ counter-terrorism campaigns, the answer finally lies in what the people think. Third, in all these years, no serious attempt was made to project to the Kashmiri people how and why their future lay only with India. The only agency that did this was the army. No government agency has ever put together a psychological campaign to win the confidence of the people. The army did it because it is a part of its professional responsibility and all international military counter-insurgency experience talks of winning hearts and minds (WHAM). The “hearts doctrine” articulated by the army in 2011-12 was the first strategically oriented WHAM programme in Kashmir. Separatism and radicalism run hand in hand in the Valley and it will take years of committed campaigning before these are diluted — the on and off presence of terror groups doesn’t help. Who has the capability to strategize, plan and stay committed to such a campaign but the army? To presume that the army has done its job and should hand over the responsibility to civilian agencies is absolutely correct, provided there are agencies who can take it forward to “peace”. If there is none, why rue the army’s insistence that its work must not be undone? Twenty-four years of institutional wisdom need not be sacrificed in the urgency for declaring a premature victory. A few other observations by Gupta are designed to provoke non-intellectual minds, but they deserve a brief comment. The number of soldiers lost in negative incidents in a year is never reflective of the capability of an army fighting terrorism. Moreover, the deployment of the regular army in the hinterland is at its minimum today. The army’s Rashtriya Rifles (RR) operates in the hinterland and its soldiers never get exhausted because it has a well-thought-out relief programme. Tactical minds within the RR also rue their presence among the populace, to neutralise just a handful of terrorists each year. This really is the problem — a misunderstanding that the RR’s task is to kill terrorists alone, and not recognising that the task of a counter-insurgency force is to cement the separatist population with the mainstream. There is something else that our countrymen need to know about the RR: the professional and experienced military force is our add-on resource for conventional operations, especially now that 110 wings of Pakistan’s Frontier Corps (the country’s virtual RR) have received operational experience and modern weaponry to make them force multipliers. That is a major reason the RR cannot be disbanded or re-deployed for counter-insurgency tasks in Naxal-affected areas. To claim victory over terror groups is premature also because the number of surrendered terrorists in the Valley (all with different shades of antipathy to the establishment) is higher than the number of terrorists in holding camps and launch pads in PoK. None of the promises (by the state government or the police) to these surrendered terrorists has been fulfilled, creating a potential resource for home terror. Gupta’s most potent statement is, “Because its (the government’s) politics is frozen, it has introduced an unprecedented new factor in Indian policymaking: a veto for the army”. Seeking and giving professional military advice is a part of governance and on Siachen, Kashmir or Manipur, the army has offered just that. If you go by this accusation, every proposal by the army should have been accepted. In the case of Siachen, it is the trust deficit that prevents the vacation of the Saltoro Ridge; on the Armed Forces (Jammu and Kashmir) Special Powers Act, 1990, the government almost relented but the only organisation that offered a rationale for its retention was the army. Its arguments went well beyond the ordinary, explaining just how it was balancing hard and soft power in the emerging situation and just how the AFSPA was only an umbrella to be used in an emergency. The army likes a cemented victory and celebration for the people, not a half-baked one which gives adversaries reason for glee. The general with five tenures in Kashmir who says the army is out of a job needs to revisit Kashmir. Not a single new golf course has come up and yes, guest rooms are indeed necessary to ensure that more armchair strategists visit Kashmir to be briefed at Keran, Machel, Gurez, Uri, Sopore, Tral and Shopian, before passing judgement on their professional army. Don’t just visit Srinagar, Gulmarg and Pahalgam to make up your mind because the advice you will then proffer will never meet the professional needs of our army or that of our nation. Learn to trust your army — it is your army. The writer Syed Ata Hasnain is a recently retired Lt. General, is a former general officer commanding of the Srinagar-based 15 Corps.